This area was declared as the National Park in 1982. This park stretches over an area of 200 Sq.Km. 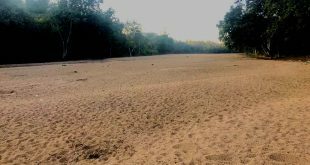 This park is inhabited by tigers, barking deer, Spotted Deer, leopard, Sambar, Sloth bear, Wild dog, Chinkara, blackbuck etc. Timings: 7:00 am – 4:00 pm. No safari vehicles allowed after 4:30 pm. 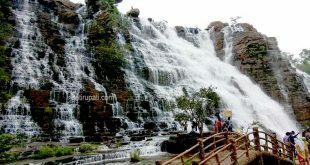 Best Time to Visit: Jun – Oct. Monsoon season for Waterfalls visit. Tourists visit will be high during Nov, Dec and Jan months. Jeep Safari Cost: Rs.1500. 7 members + 1 driver + 1 guide. Kutumsar caves: Natural Limestone Caves. The tourist must pre-book lunch Menu at the Entrance Gate. Food will be served in the forest. Only Veg food will be served. Nearest Stay is available at Jagdalpur. How to reach Kanger National Park? The nearest airport is at Raipur which is 300 Km away. The nearest railway station is at Raipur which is 298 Km away. Raipur is well connected with Delhi and Nagpur. The direct bus is not available. 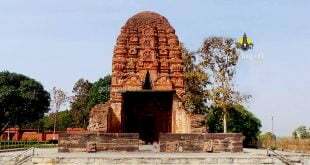 Taxi can be hired from Jagdalpur which is 20 Km away. The direct bus / Taxi / Auto is available from Jagdalpur to Naga. From Naga, Forest Jeep is available. Vehicle Cost Rs.1500 for 7 persons.